If you keep getting a mysterious “internal error” message when you try to install the new iOS 5 software update on your iPhone, iPad, or iPod Touch, well … you’re not the only one.It took me a good three of four tries to finally get my iPhone 4 updated to iOS 5, and I’m on my fourth try and counting for my iPad 2. Annoyed iPhone users are lighting up Apple’s support forum with complaints about the error, and the bloggers at Business Insider say they too have been wrestling with the problem. Update: Looks like my good friend Eliot Van Buskirk at Evolver.fm is also having serious trouble with the update. 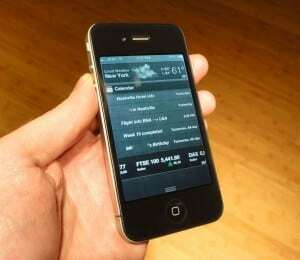 I finally did manage to get iOS 5 installed on my iPhone 4, after several tries. Then again, plenty of other iPhone and iPad users claim they’ve updated their devices without a hitch, so it’s hard to say how widespread the issue is. A “More Information” button on the error message sends you to an Apple support page, which recommends such troubleshooting measures as updating iTunes (check), disconnecting any USB hubs and plugging your iPhone’s sync cable directly into your computer (check), restarting you system, and restarting your handset. The real trick, though, seems to be the old “try and try again” method. Like I said above, I finally managed to get my iPhone updated to iOS 5 on the fourth try, and I’m hoping the same holds true for my iPad—which, by the way, seems no worse for the wear despite the glitchy update process. So, what’s causing all the problems? There’s no word from Apple quite yet, but there’s always the chance that it’s related to the crush of users trying to download and install iOS 5 this afternoon. My suggestion: wait until later today or even tomorrow, until the initial rush dies down and/or we get some solid information from Apple. Anyone else having iOS 5 installation problems?